I’m surprised to see that many of us are thinking twice before using yeast. I thought I was just the only one skipping recipes with yeast because of the fear they require mad baking skills to control but really fear not! It’s just an ordinary baking agent you have to add, there will just be extra steps after such as kneading and waiting for the dough to rise. 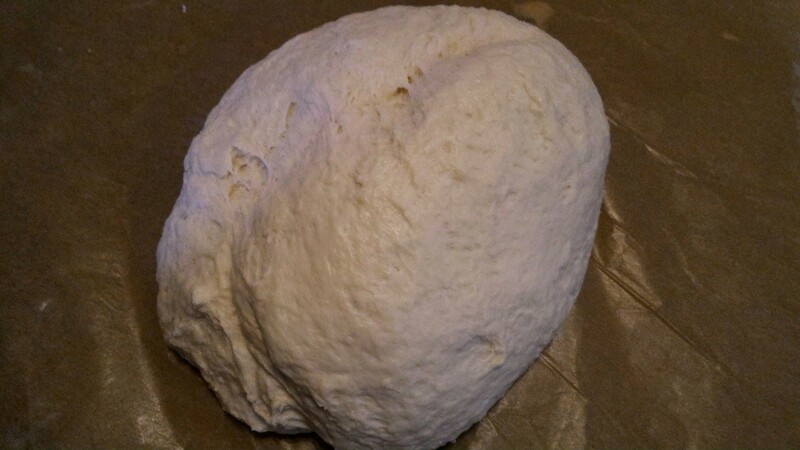 I was surprised that I had so much fun making the bread: from waiting for the dough to rise – to dough kneading – to shaping. I missed school days, and I thought how come bread making can’t be used for school experiments (well in my school they didn’t)! It’s fun and amazing, and it teaches alcohol fermentation in such a practical way! 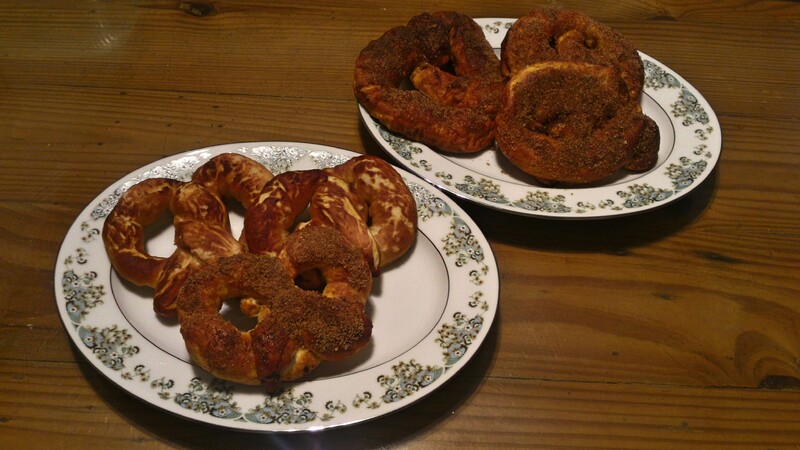 Now who misses the smell of freshly baked pretzels, with a crunchy and buttery crust and a soft chewy center? Heat milk for about 1 minute; just warm enough for you to keep your finger in it – any more than that will kill the yeast. 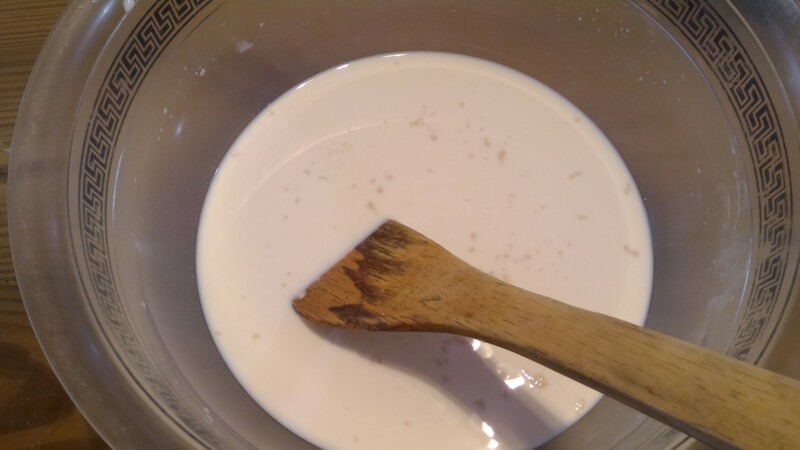 Add yeast and stir, then let it stand for about 3 minutes. 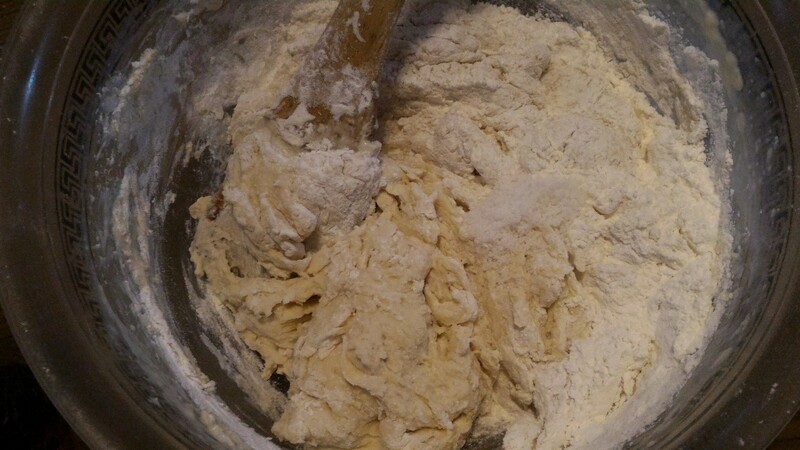 Add flour gradually about 1 cup at a time. 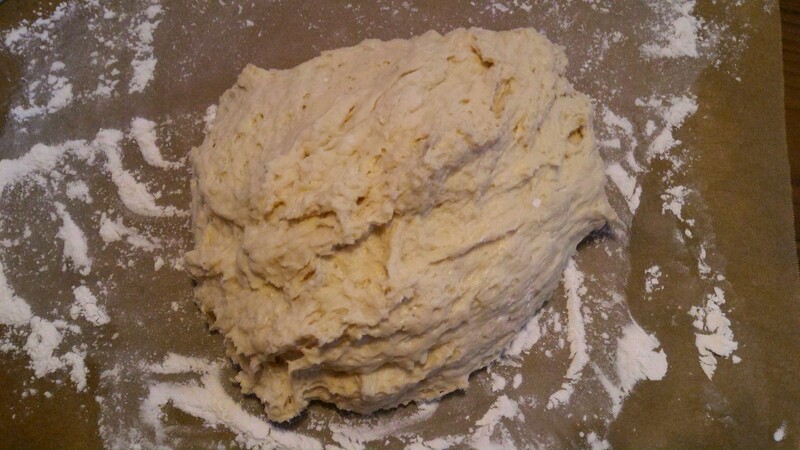 Transfer the kneaded dough in a BIG bowl (trust me this creature is gonna get BIG!) 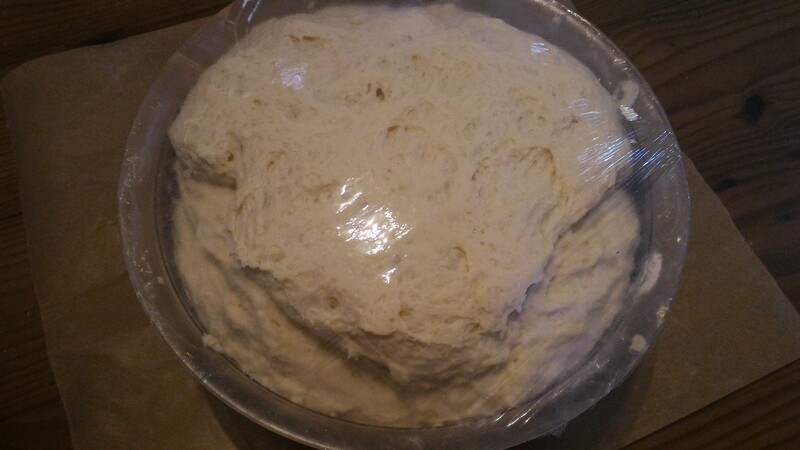 and cover with cling wrap. 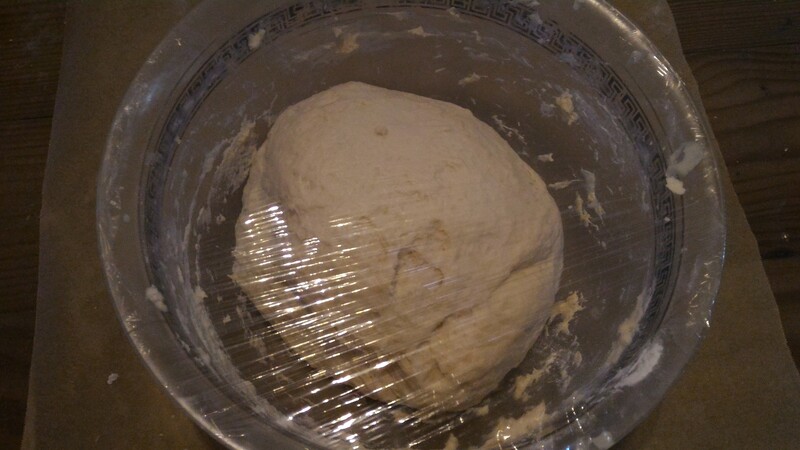 Let the dough rise for an hour in a moist, warm place (aka Philippines 🙂 ) until double in size. Preheat oven to 450 deg F (233 deg C). 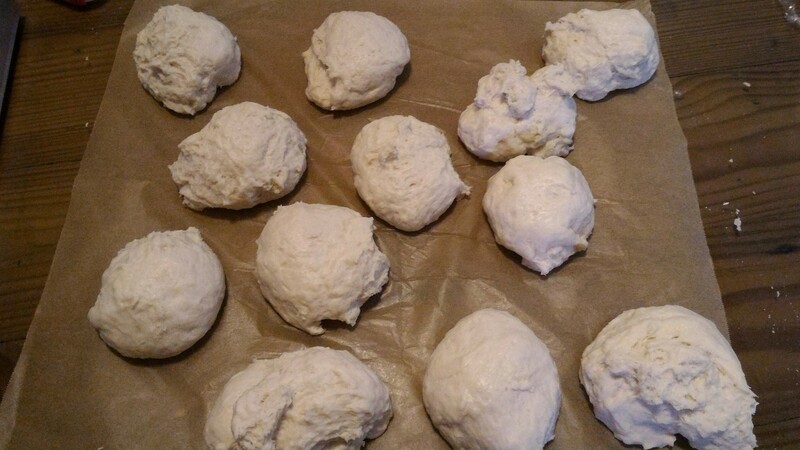 Punch down dough and divide into 12 lumps. 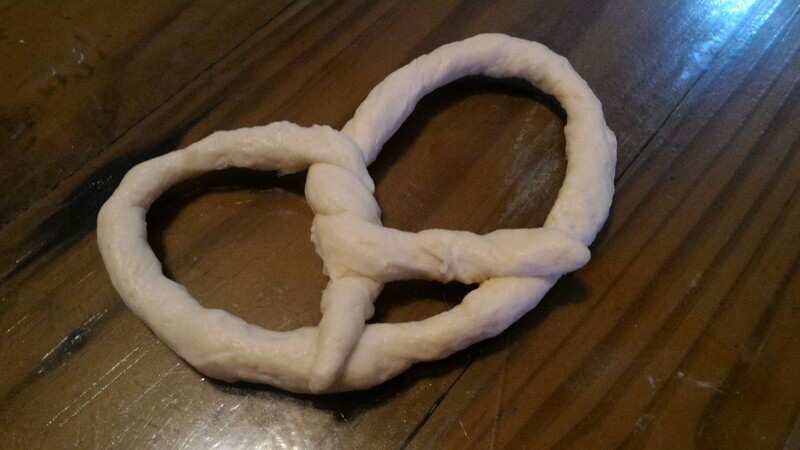 TIP: I got this tip from the author of the recipe: Start out by dividing the dough into two – then divide them evenly into three. 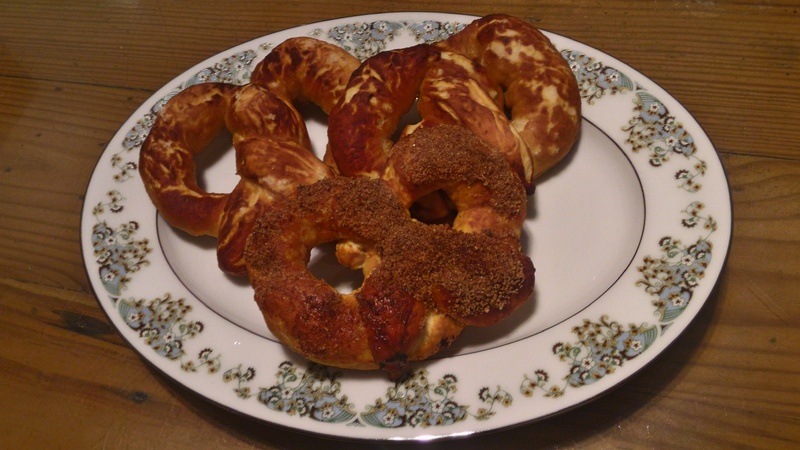 Or you can opt for smaller pretzels if you want, I just want my pretzels BIG! 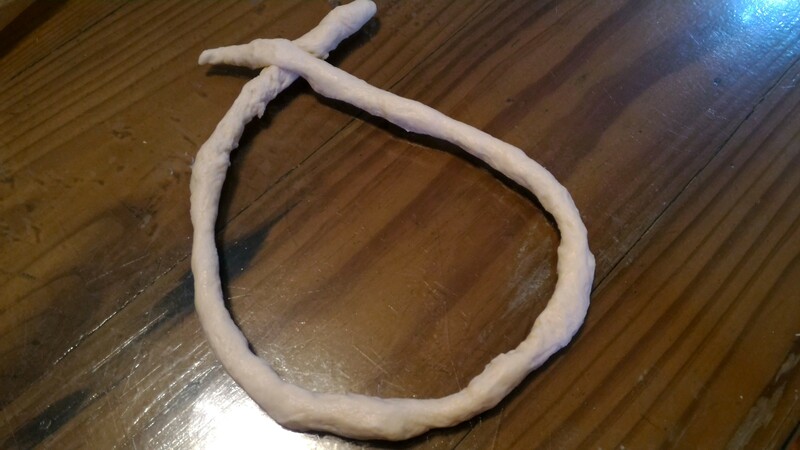 Roll the lumps out as thin as you can. 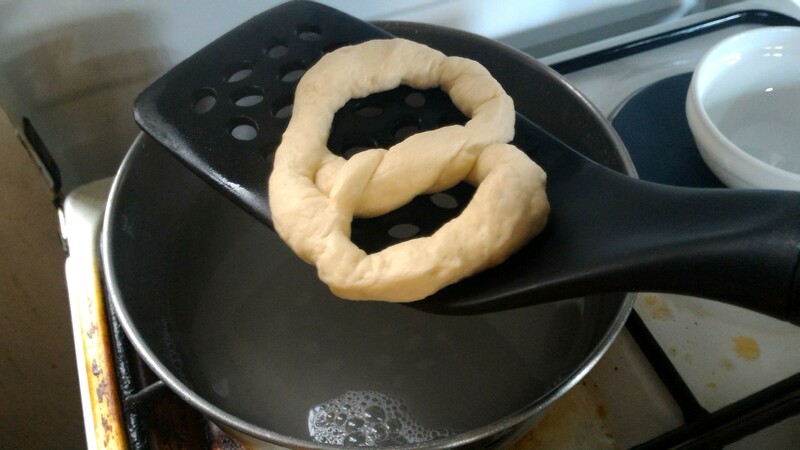 Form the pretzel by forming a U-shape first, then tie the ends to form a ring and pull it towards yourself. 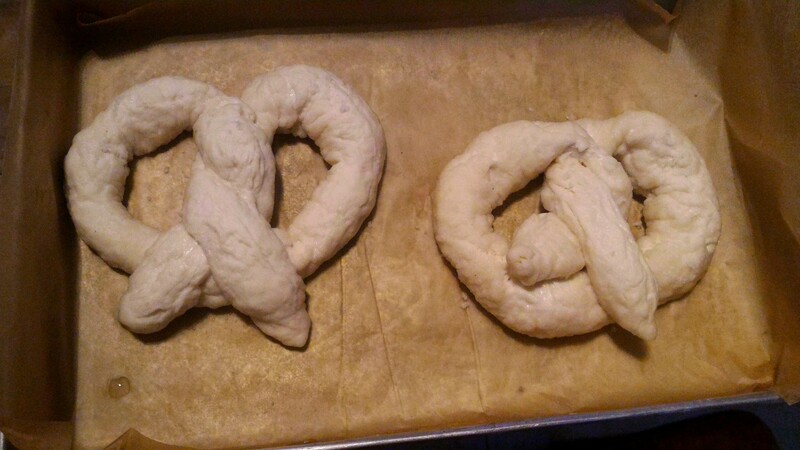 Seal the pretzels in place by pinching on the ends. 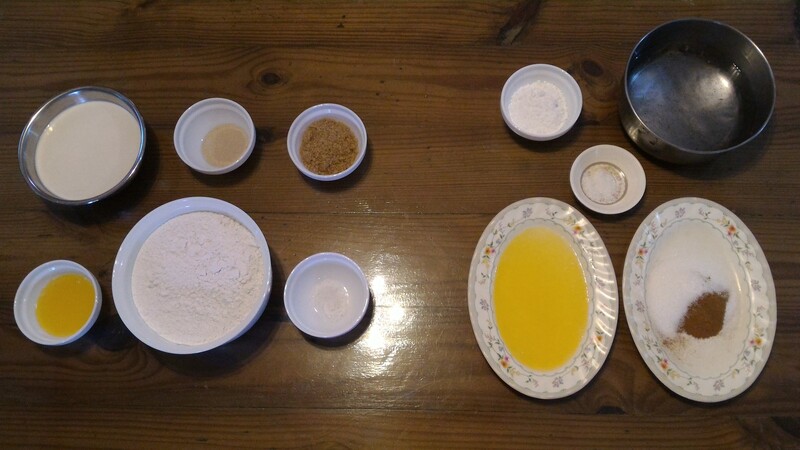 WHAT TO DO: Combine warm water and baking soda in a wide bowl. Then dip your pretzels for 20-30 seconds, remove and let drip before you put them in a baking sheet. 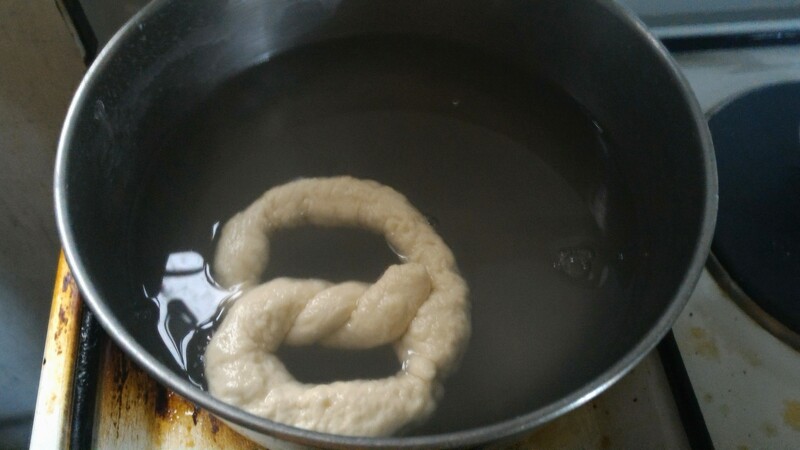 Bake the pretzels at 450 deg F (233 deg C) for 7 to 11 minutes or until they’re golden brown. WHAT TO DO: Melt butter in a shallow dish. Combine sugar and cinnamon in a separate shallow dish. 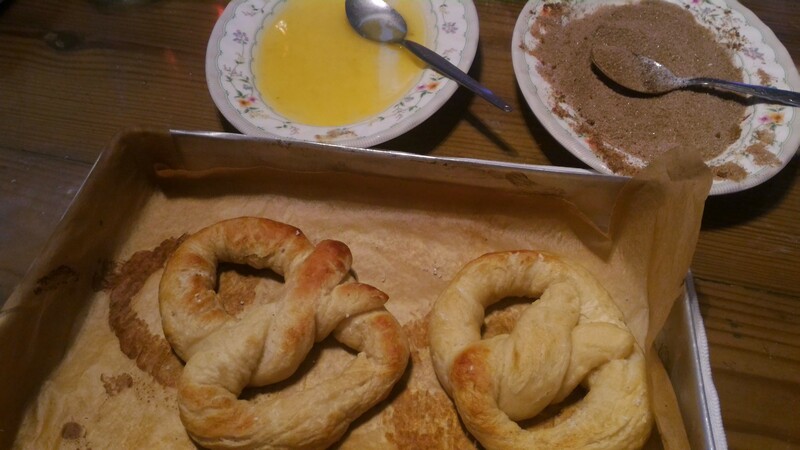 Take your pretzels out at half the baking time (I took mine out after 5 mins of baking), then dip in butter first. 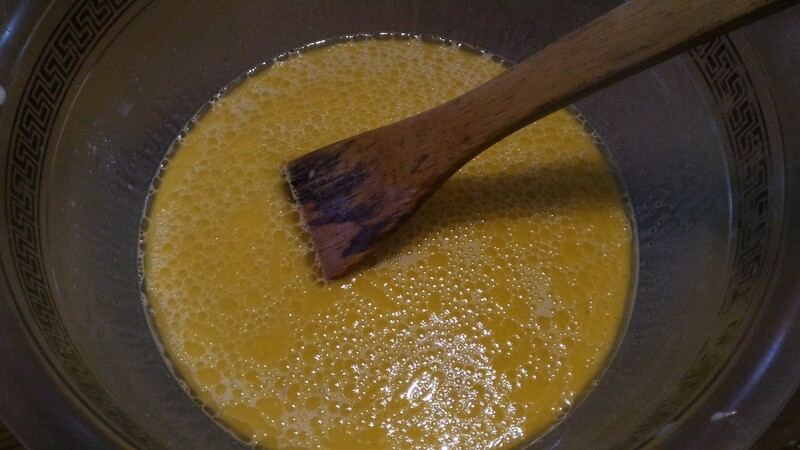 Let it drip, then dip in the cinnamon sugar next. Lay them out on the baking sheet again, then pop them in the oven for the remaining baking time or until you see that the cinnamon sugar has melted. 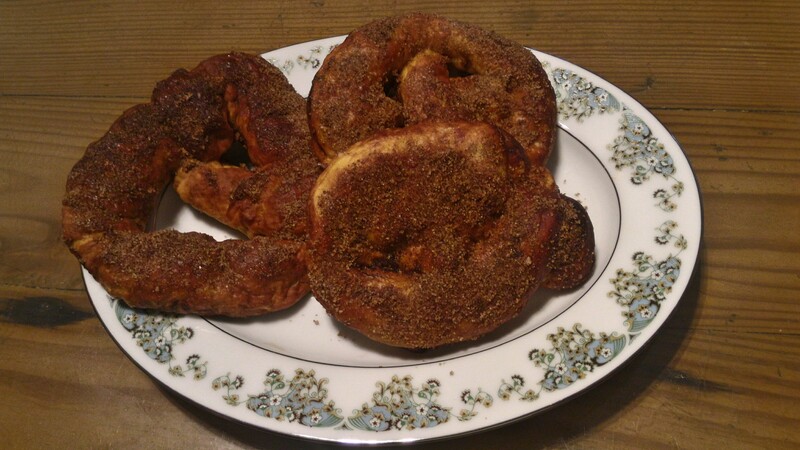 Here I tried just the cinnamon sugar topping, but you can also try other ones. My favorite in Auntie Anne’s is the honey almond one – you can also make a cream cheese dip or a caramel dip or a chocolate dip or a cheese dip! I’m going to try these ones next!